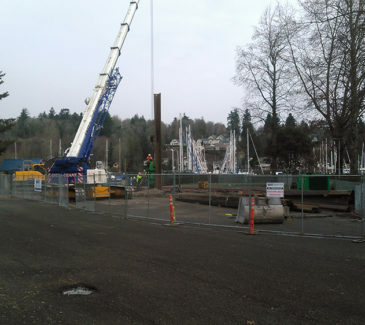 AEC was awarded this project as a qualified and competitive bidder to the Port of Olympia. 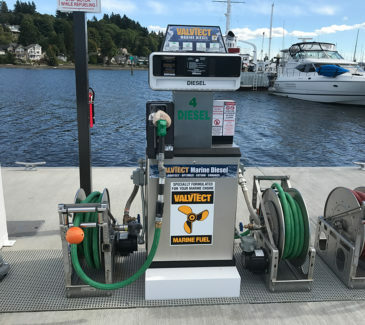 The work consisted of installing a new marine fueling and pump-out facility at the east end of the existing A-Dock at Swantown Marina. 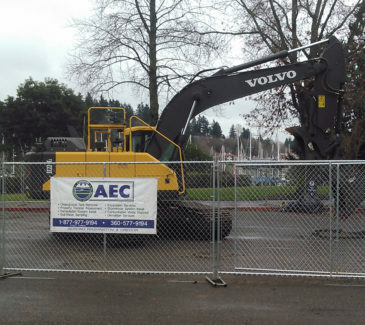 AEC crews performed the selective upland, dock, timber pile extraction, utility and landscape demolition. 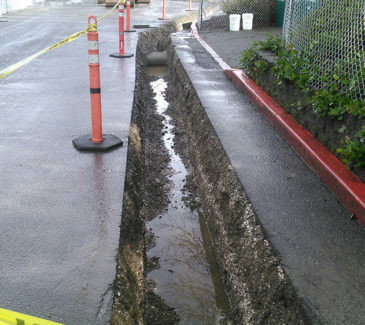 Temporary shoring was required as part of the scope, in addition to the excavation and backfill required for the installation of underground fuel storage tanks (USTs) and all associated utility work. 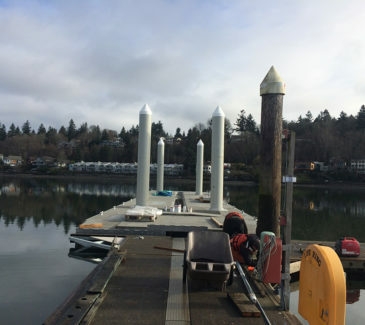 AEC also managed the upland and on-dock electrical work and performed the installation of new on-dock sewage pump-out system, with all associated plumbing work, and the installation of on-dock fire protection equipment. 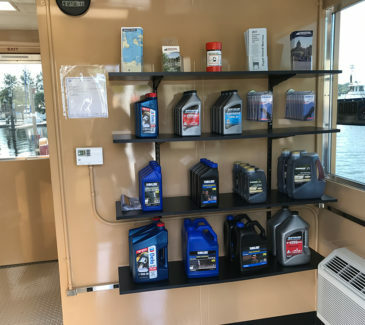 In an effort to provide the increased amount of fuel flow (gpm) the client wanted to achieve, AEC designed a new commercial diesel dispensing system. 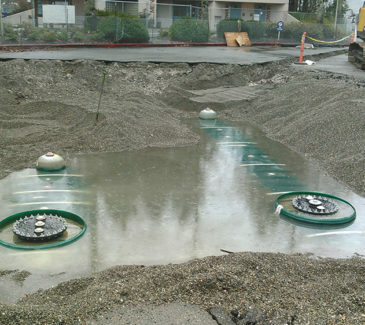 Crews installed a set of filter banks into the cabinet, along with multiple solenoid valves that allowed the fuel to reach the meter to dispense. 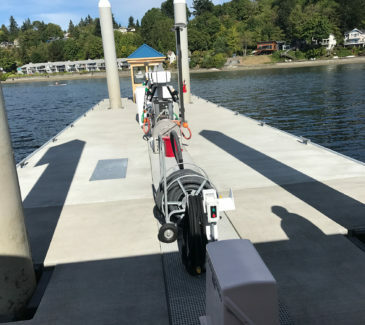 AEC performed calculations for flow rates and procured the equipment sufficient to supply fuel in the amounts needed for the increased volumes required at the Marina. 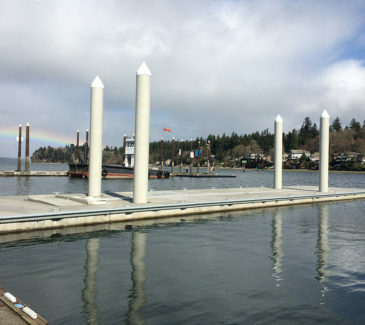 Crews supplied and installed a new 20’ x 100’ concrete fuel float system and a new gangway transition float with A-Dock corner floats. We then installed the fuel piping on the floats, new dispensers and managed the electrical and pumping of the pump-out system. 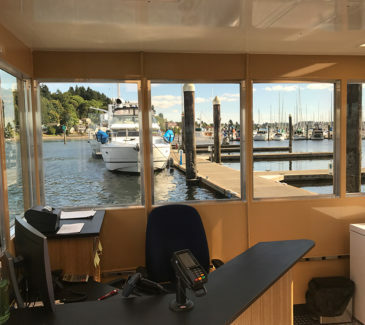 Following the installation of the all-new equipment, crews were tasked with performing the startup and guidance for the new system to the client. Upon completion, AEC restored the disturbed areas by providing landscaping and re-vegetation and returning the work site to better than preconstruction conditions.